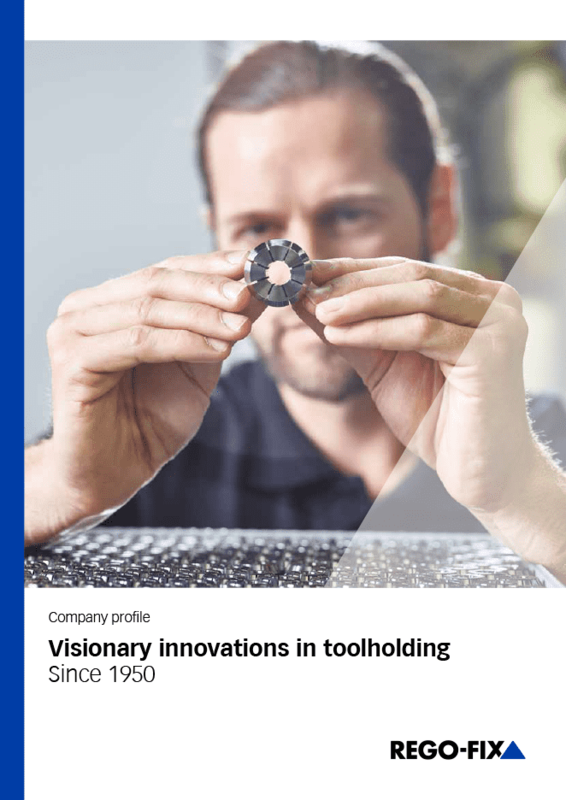 Our global network is one of the key factors of our leadership position and a promise to deliver innovative toolholding solutions and excellent service close to you. Here you can read the latest information or browse through our press archive. Visit our download center for corporate information and technical data. Innovative, credible, trustworthy and pioneering. Discover our vision. Living and sharing the same key values is our approach for a successful combination of family and business. Discover what living our brand means for us. At REGO-FIX we know, that long-term success lies in enabling our employees to shape our future together. We work together cross-culturally to engineer and manufacture innovative products. That is how we meet our customer's machining needs. Continuous investments in R&D lead to new product launches and push machining innovations further. We believe in what we do. 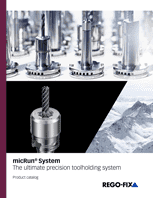 We are convinced that this is crucial for aspiring toolholding excellence. Since 1950, REGO-FIX gathered a worldwide recognition for high-quality products, made in Switzerland. A passion for precision is one of our key strengths. Since 1950, we turn innovative thoughts into revolutionary products. We manufacture products we can be proud of. Together we aim for excellence in every step we take: from the inspiring idea to the finished product. Our products marked Swiss made are designed and manufactured at our headquarters in Tenniken, Switzerland. We believe in sustainable business. This is why we use our resources carefully and support the dynamic organism that is our ecosystem. We halved our energy consumption since we moved into our new headquarters. In our manufacture facility we recycle used materials at every level of our production chain. We are proud to be certified according to ISO 14001 (environmental management) since 2007. Our flat roof collects about 40.000 liters of rain water. We use the gathered water for flushing our toilets. To us, sustainable business also means that we offer vocational training for young talents. Download all relevant information now. Our brand unites three different toolholding systems. 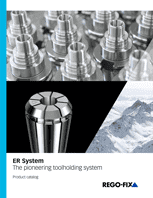 Each system has different strengths to fit your machining needs, but at the heart of each system lies our aim for toolholding excellence. You are browsing with an outdated browser, which is not supported by this website. We recommend that you use the latest version of Chrome, Firefox, Safari, Edge or Opera to get the full functionality.